How Honest are Online Reviews Really? Only 70% of consumers say they actually trust online reviews. 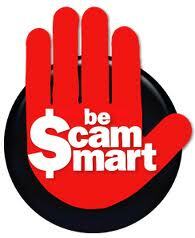 Be scam smart! Only 70% of consumers say that they trust reviews from review websites such as yelp.com, Angie’s List, and TripAdvisor. In reality, 30% of online reviews are fake. Businesses can find people that they can hire to write them good reviews. Business owners, employees, friends, and family members create an online alias and then either post rave reviews about their company or really negative ones about the competition. It was found from a 2011 Harvard study that sales increase an average of 5% to 9% for independent restaurants on yelp.com with just a one-star-better difference. Which might be one reason why the business owners and affiliates themselves create these reviews. Beware whenever you decided to post a negative review online, even if you are doing so anonymously. The first amendment protects your freedom of speech but it will not protect you from a law suit if you post a false statement of fact. 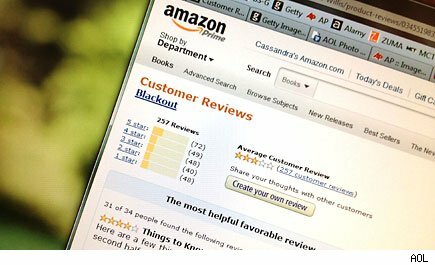 There is a higher percentage of 5 star reviews across the board on Amazon.com, yelp.com, and TripAdvisor and the experts say that this is most likely caused by the number of fake reviews. Instead of just relying on the review rating itself, try to read the description of the review so that you can better determine the quality of the products and/or services being offered. Be leery of any review posted on the web today. The best way to find out if a product or company is good is to try it out yourself. On Amazon.com, companies can give away free products utilizing the Amazon Vine Program but they must still allow both negative and positive feedback on the free products. They are not allowed to offer any other type of compensation. A 2011 survey conducted by Cornell University asked 166 of the “top 1,000” best reviewers on Amazon. They found out that 85% of them had received free products and 78% of them said that they usually posted a review about these products and 88% of these reviews were positive. A study conducted this year by Weber Shandwick (a PR firm) concluded that 65% of shoppers pick brands they weren’t considering previously because of consumer reviews. Many companies will send email reminders to their customers in the hopes that they will write a review which will then boost the company’s ratings which they can use to better market themselves. 93% of consumers won’t buy a product if there is a negative review; 79% of consumers are influenced by online reviews even when they buy offline. Baazarvoice conducted a research study in 2012 that asked millenials and baby boomers how important consumer reviews are in their purchasing decision. It was found that 84% of millenials and 70% of baby boomers won’t buy a product if it has no reviews. 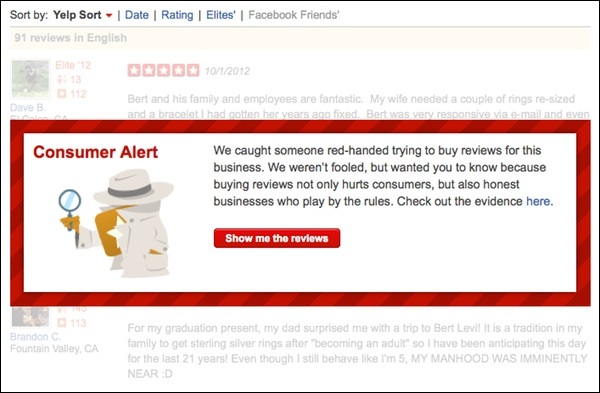 Yelp.com is trying to better regulate businesses from trying to buy better reviews. Don’t always believe that the companies at the top of the search results are the best. Most of the review sites on the web today have policies in place to help weed out the fake reviews from the real ones but there is still a good percentage of these fake reviews floating around on the world wide web. Hopefully these statistics will help you the next time you are on a review site trying to find the perfect restaurant, hotel, product, etc. Happy shopping everyone!